At the Board of Governors meeting on February 14, a $10 million starting investment — from the Trek endowment — into the Sustainable Future Fund (SFF) was approved. The Board also voted to increase investment in the SFF by $5 million per year for a period of three years, bringing the total projected investment in the fund to $25 million. While a key performance criterion of the fund is its financial achievement, the other main criterion is the level of carbon emissions in the investments. “We were all initially pretty excited, but at the same time keeping it in the back of our head that this is only one per cent [of UBC’s total investment]. This is nowhere close to what the initial proposal asked for and this conversation is very far from over,” said Grace Hermansen, communications coordinator for UBCC350, the group that has been leading the movement to divest. 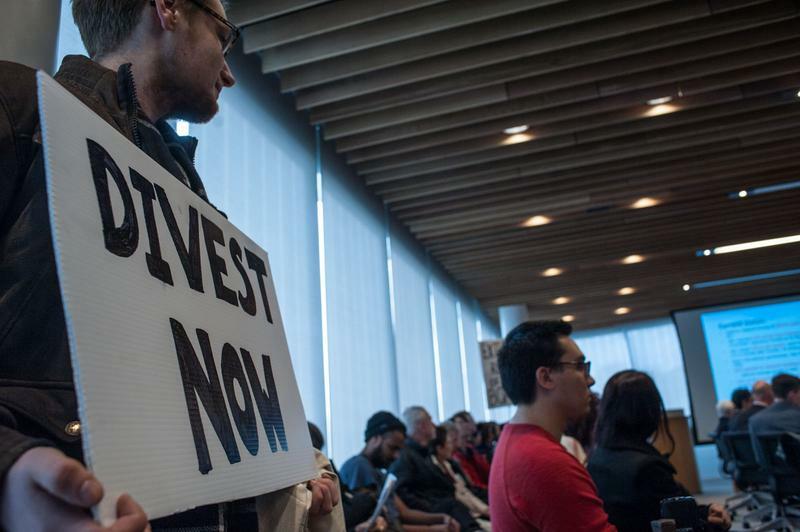 The fund was launched in response to both faculty and student votes for UBC to divest from fossil fuels. According to the report, 70 per cent of “the fund will be invested 30 per cent in bonds and 70 per cent in global equities with materially lower carbon dioxide emissions.” As the fund is not invested in private equities, the report also noted that it was likely to be more financially volatile than the main endowment fund. UBC Investment Management Trust will keep the Board updated of the SFF’s progress through quarterly reports to the finance committee.